The actors are really getting their teeth stuck into this important story. 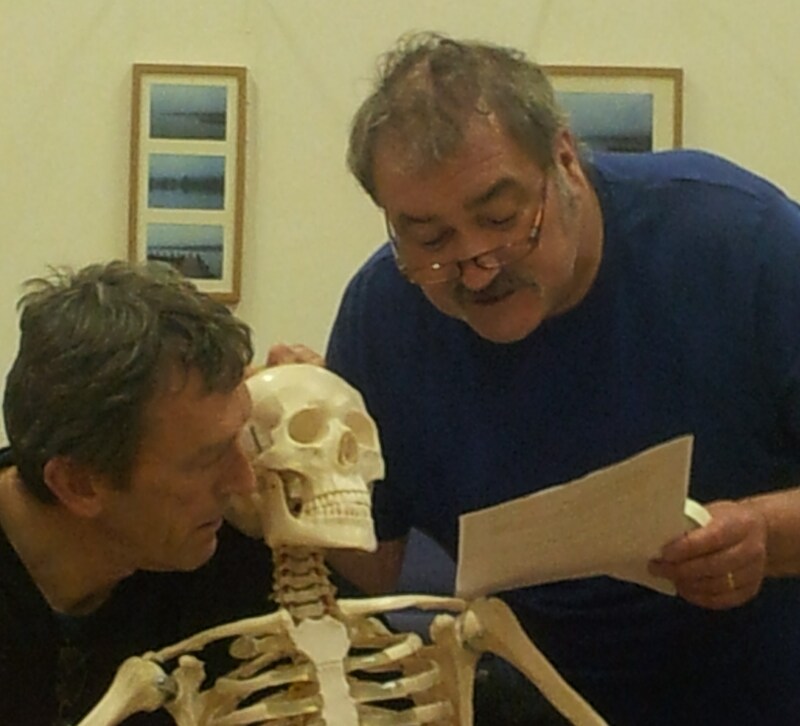 Inverness based theatre production company Dogstar has an important new play rehearsal. Factor 9 is a horror interpretation of the contaminated blood disaster and has been inspired by testimony from Bruce Norval and Robert Mackie. The play will be touring extensively in Scotland, Wales, Sweden and Denmark. Following World Haemophilia Day on the 17th of April there are two tour dates in Inverness’s prestigious Eden Court Theatre. Haemophilia Scotland will be attending the performance on the 19th of April as part of our activity to mark World Haemophilia Day.